Not for the first time, and certainly not for the last, the Pittsburgh Penguins apparently “tested the market” on enigmatic superstar Phil Kessel. That’s according to Elliotte Friedman’s latest 31 Thoughts column for Sportsnet, which notes that Penguins GM Jim Rutherford is still looking to make a move to upgrade his current roster. There was speculation that Kessel could be on the move earlier this year after Pittsburgh were knocked out of the postseason, though nothing came of it. The 31-year old Kessel is still an incredible offensive talent and sits currently with 29 points through his first 26 games this season. Just last year he posted the best season of his career to-date, recording 92 points, finishing ahead of teammate Sidney Crosby and seventh in the entire league. That point-per-game production didn’t quite continue in the playoffs, and Kessel was only able to record a single goal in 12 postseason appearances. Still, there’s no doubting that he can help any team reach the Stanley Cup. In his first two seasons with the Penguins, Kessel was a force in the playoffs with 45 points in 49 games and was a huge part of the back-to-back championships. The forward that had been figuratively run out of both Boston and Toronto seemed to find a perfect home in Pittsburgh, where he could play the part of the third musketeer behind Crosby and Evgeni Malkin. 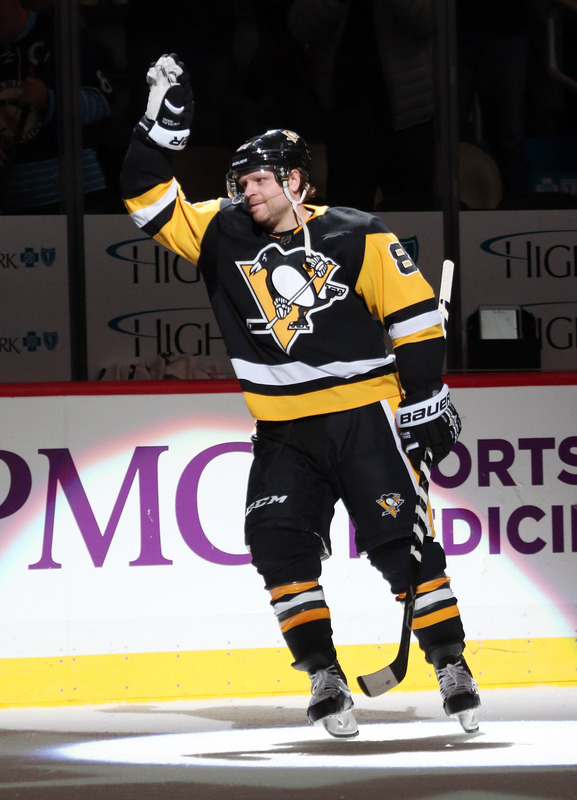 The question now is, with the Penguins struggling out of the gate, whether Kessel is still that perfect fit. The team has turned things around of late and are now within striking distance of a playoff spot in the Metropolitan Division, but find themselves pushed right up against the cap and using long-term injured reserve to ice a competitive team. Though part of Kessel’s salary is still being paid by the Maple Leafs, he still counts for $6.8MM against the Penguins cap and has three more seasons on his current deal. That room could be used for other things, and there’s bound to be interest in a point-per-game sniper like the Wisconsin native. There’s no reason to think that a Kessel trade is imminent—especially given that he still holds a substantial no-trade clause—but it’s hard to rule out anything when it comes to Rutherford. He’s already been one of the more active executives in the league this season, sending Carl Hagelin and Daniel Sprong out to try and shake things up in the dressing room. In came Tanner Pearson and Marcus Pettersson, but neither player is a game-changing talent like Kessel, nor as substantial an asset as he would likely return. A previous version of Friedman’s story used the term “testing the market.” It has since been updated. Be a dumb move to trade him. They said they need more depth scoring behind Crosby and malkin. Instead they trade guys like sprong away without giving him a chance. Kessel could retire a penguin if 1. Malkin takes a pay cut 2. They dump maatta’s 4.5 mill. Contract along with rusts 4 mill. 3.if PK takes a significant pay cut himself (highly doubtful) and lastly if they could buy out johnson somehow some way. JR makes moves you admire and one’s you just scratch your head at.